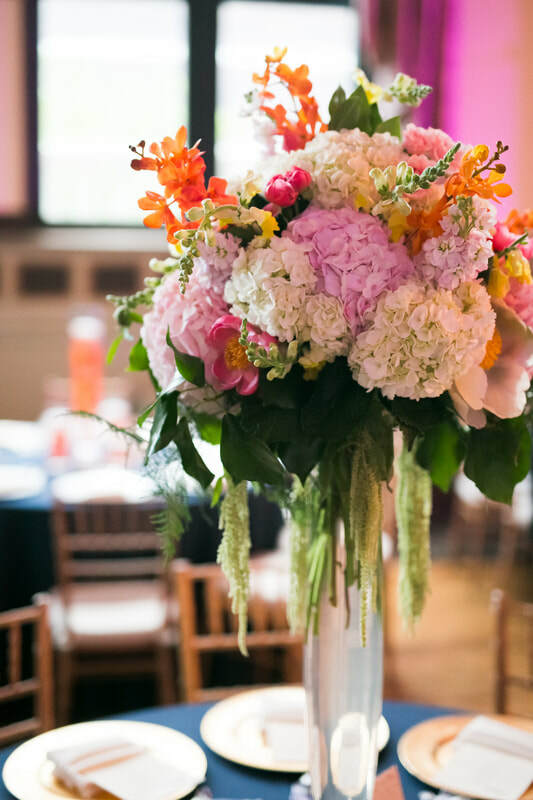 We LOVE working with vibrant and unexpected color palettes. 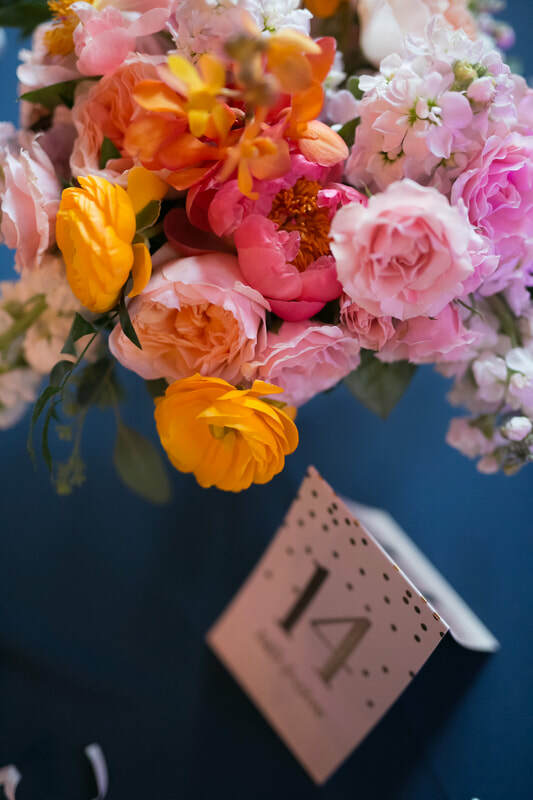 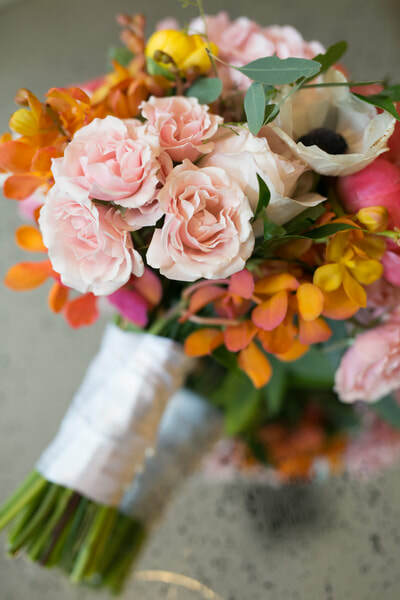 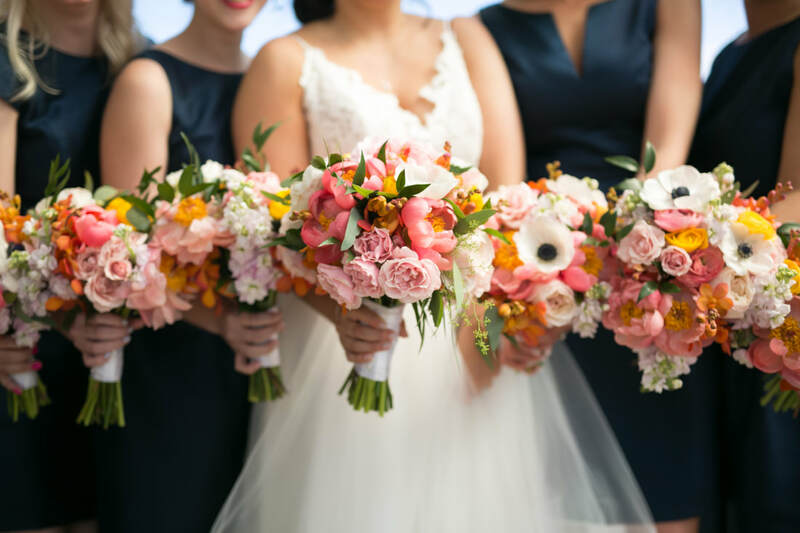 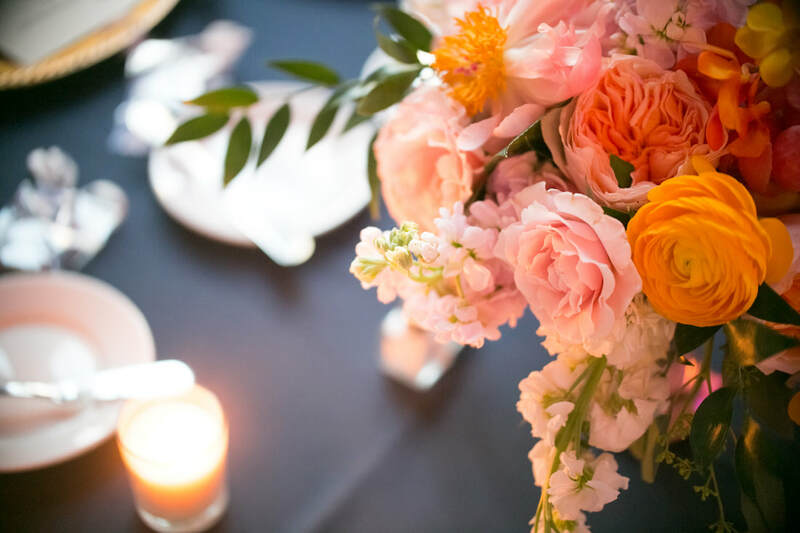 This beautiful wedding was a sunshine burst of sherbert oranges, yellows, corals and pinks. 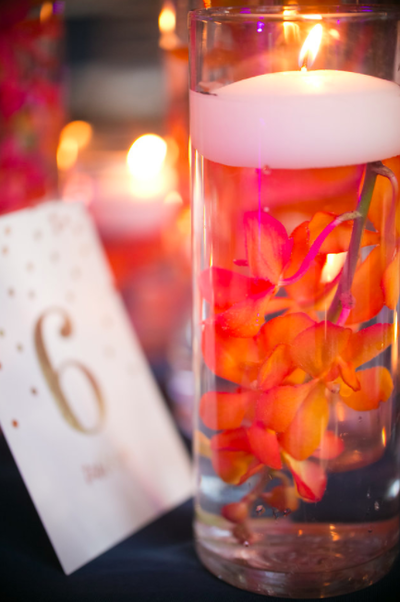 The flower mix was unexpected too - vibrant orchids with ruffly coral peonies and anemones made for a beautiful look!